This map demonstrates territory of Belarus, of Moldova, of Poland, of Romania, of Saudi Arabia, of Ukraine. large city L'viv download for free. Displayed city Khmel'nyts'kyy free download. Displayed city Vinnytsya presented. You can find here city Zhytomyr marked. city Rivne for Garmin. You can find here city Chernivtsi download for free. Displayed city Ternopil' for Garmin. You can find here city Luts'k for Garmin. 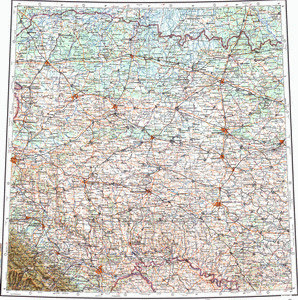 On this map city Ivano-Frankivs'k marked. Displayed city Kamieniec Podolski free download. city Berdychiv download for free. You can find here city Chervonograd for Garmin. city Kalush free download. city Kovel' presented. You can find here city Korosten' marked. Displayed city Kolomyya download for free. city Novovolyns'k download for free.